We at Hazara Car Removals, offer a complete range of car removal Melbourne services. We offer cash for cars, car disposal, unwanted car removal, old car removal, damaged car removal, free car removal, commercial vehicle removal, 4WD, Jeeps, Utes, vans and trucks removal services in and around Melbourne. We buy all types of vehicles regardless of its condition and age. You may have a totally damaged car that you don’t know what to do with. Just ring us and our truck will be there to tow it away. When we say any condition, it includes everything ranging from a smashed car to a wrecked car, from a scrap car to a junk car and everything in between. You will get money for a piece of scrap lying on your property that consumes a lot of space. 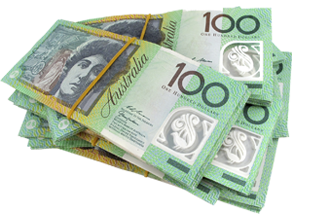 We offer cash for scrap cars in the entire Melbourne VIC. We have a fleet of over 10 well maintained, fully equipped and modern trucks that can carry almost any type of vehicle ranging from you sedan to a truck. The power and condition of our trucks combined with the experience and skills of our team make it possible to carry off any type of scrap car. You can have unwanted large trucks, Utes or vans in on your property, and finding it difficult to get rid of them. 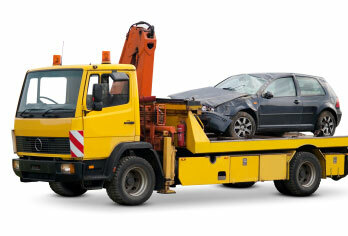 We will not just remove those damaged or worn out vehicles, we will also pay you for them. In addition to calling us, you can also get an online quotation from us. If that scrap car has been sitting in your garage or property for a long time, removing it from there could be the last thought in your mind because of the difficulties involved. However for us, removing the most damaged car is an easy job. When you call our services, make sure that you have checked the vehicle thoroughly and removed any personal property. It will also be required to remove all official documents and license plates. When you call us, we perform a thorough verification of a scrap car’s ownership before removing it. We will check all the documents and ensure that you have cleared off all the obligations and debts associated with the vehicle’s title. Once we are done with this part of the job, we will fix an appointment and visit the place where your car is kept. Then, our team will arrive at your place and appraise the car. We will also collect any additional information, as required for evaluating the worth of the vehicle. Unlike other cash for cars Melbourne companies, we don’t make our clients wait for their payment. We will pay you the value of your scrap car right at the spot in cash. We don’t make our clients wait for getting paid. Your car will be removed only after you have received the payment in your hands. Keep in mind that we offer free collection services for all types of car removals.